(8U/AAW) (Tripoli, Libya) 2001 - Current. Photos. Framable Color Prints and Posters. Digital Sharp Images. Aviation Gifts. Slide Shows. 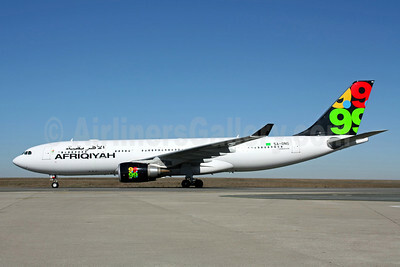 Afriqiyah Airways (Fly International Airways) Airbus A300B4-620 TS-IAY (msn 354) MAD (Ariel Shocron). Image: 901965. 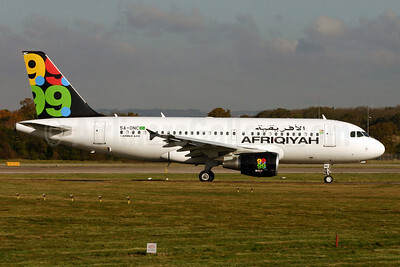 Afriqiyah Airways (Nouvelair) Airbus A320-211 TS-ING (msn 140) LGW (Antony J. Best). Image: 901966. 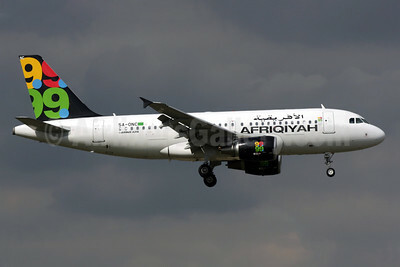 Afriqiyah Airways (Nouvelair) Airbus A320-211 TS-ING (msn 140) LGW (Antony J. Best). Image: 901967. 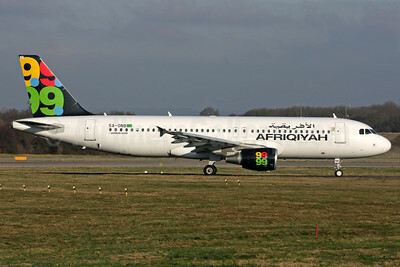 Afriqiyah Airways (Nouvelair) Airbus A320-211 TS-INH (msn 157) CDG (Christian Volpati). Image: 909143. 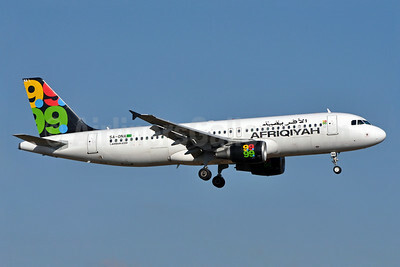 Afriqiyah Airways (Nouvelair) Airbus A320-214 TS-INA (msn 1121) LGW (Antony J. Best). Image: 901968. 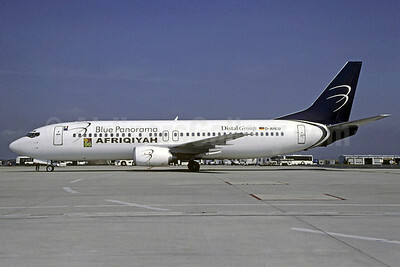 Afriqiyah Airways-Blue Panorama Airlines Boeing 737-4K5 D-AHLU (msn 27831) (Blue Panorama colors) CDG (Christian Volpait). Image: 901258. 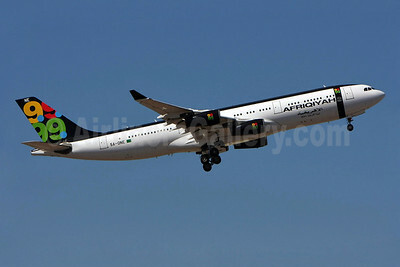 Afriqiyah Airways Airbus A300B4-620 5A-IAY (msn 354) LIS (Pedro Baptista). Image: 903642. 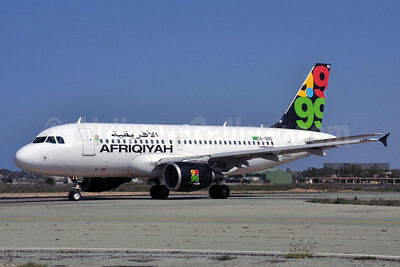 Afriqiyah Airways Airbus A319-111 5A-ONC (msn 3615) LGW (Antony J. Best). Image: 901255. 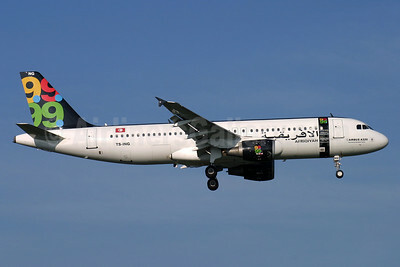 Afriqiyah Airways Airbus A319-111 5A-ONC (msn 3615) LGW (Terry Wade). Image: 902855. 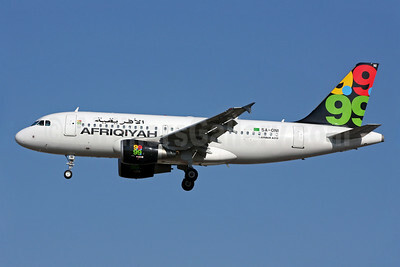 Afriqiyah Airways Airbus A319-111 5A-OND (msn 3657) MJI (Richard Vandervord). Image: 903828. 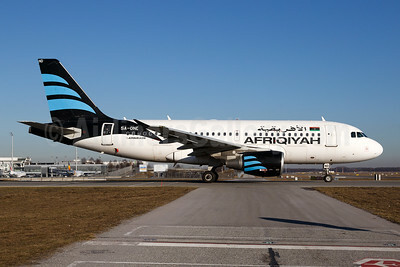 Afriqiyah Airways Airbus A319-111 5A-OND (msn 3657) MUC (Arnd Wolf). Image: 945769. 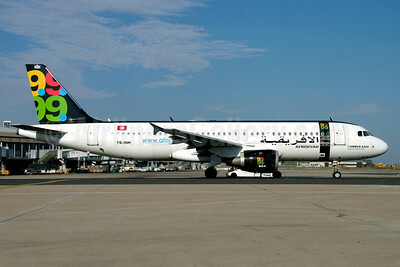 Afriqiyah Airways Airbus A319-111 5A-ONI (msn 4004) LGW (Terry Wade). Image: 904921. 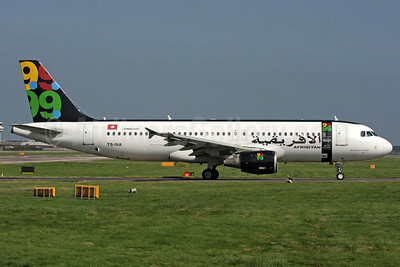 Afriqiyah Airways Airbus A320-214 5A-ONA (msn 3224) LGW (Richard Vandervord). Image: 904922. 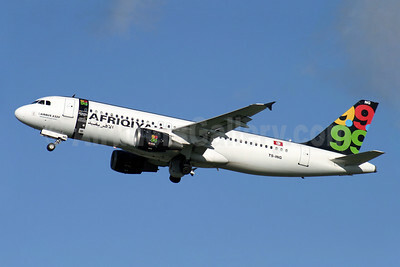 Afriqiyah Airways Airbus A320-214 5A-ONB (msn 3236) LGW (Antony J. Best). Image: 902886. Afriqiyah Airways Airbus A330-202 5A-ONG (msn 1024) CDG (Christian Volpati). Image: 904920. 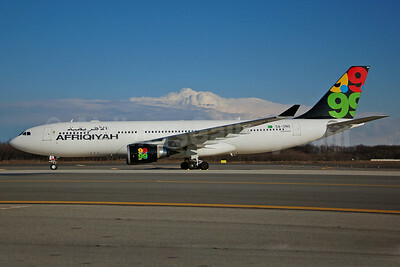 Afriqiyah Airways Airbus A330-202 5A-ONG (msn 1024) MXP (Giorgio Ciarini). Image: 904919. 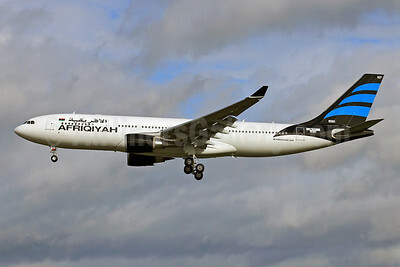 Afriqiyah Airways Airbus A330-202 F-WWYK (5A-ONP) (msn 1472) TLS (Eurospot). Image: 921125. 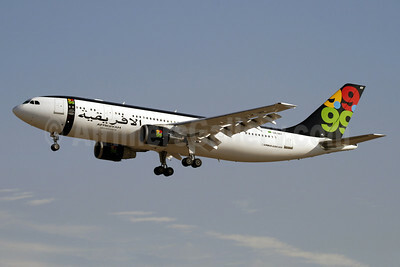 Afriqiyah Airways Airbus A330-202 F-WWYS (5A-ONG) (msn 1024) TLS. Image: 904955. 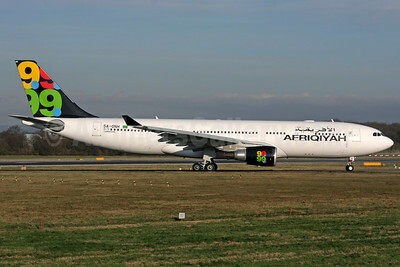 Afriqiyah Airways Airbus A330-202 TS-ONH (msn 1043) LGW (Antony J. Best). Image: 903924. 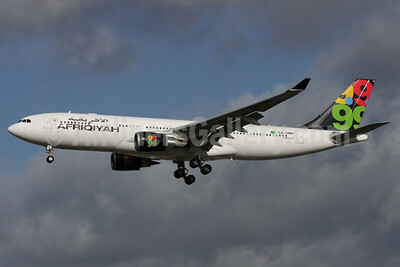 Afriqiyah Airways Airbus A330-202 TS-ONH (msn 1043) LGW (Antony J. Best). Image: 904427. 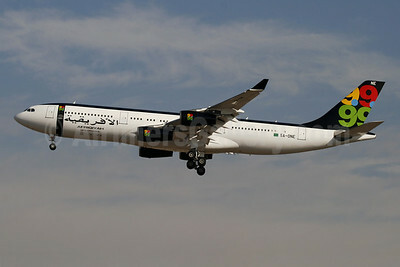 Afriqiyah Airways Airbus A340-213 5A-ONE (msn 151) LIS (Pedro Baptista). Image: 903643. 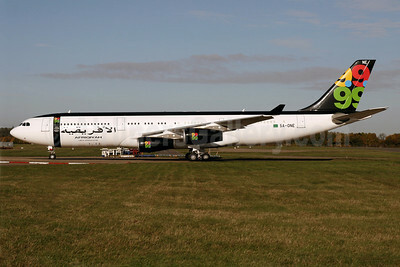 Afriqiyah Airways Airbus A340-213 5A-ONE (msn 151) MAD (Ariel Shocron). Image: 901256. 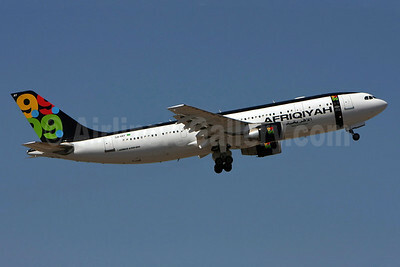 Afriqiyah Airways Airbus A340-213 5A-ONE (msn 151) STN (Pedro Pics). Image: 901257.